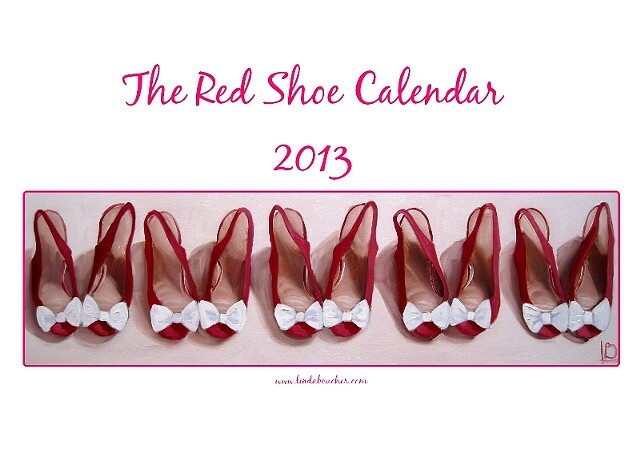 The Red Shoe Calendar for 2013 has 13 mini fine art prints of my most popular red shoe paintings. The overall size of each sheet is 5"x7". I've used a glossy paper for these calendars- which you can write on with most pens, including biro. For more images of the calendar, take a look at my Facebook Page.